This book offers a new interpretation of the spatial-political-environmental dynamics of water and irrigation in long-term histories of arid regions. It compares ancient Southwest Arabia (3500 BC-AD 600) with the American West (2000 BC-AD 1950) in global context to illustrate similarities and differences among environmental, cultural, political, and religious dynamics of water. It combines archaeological exploration and field studies of farming in Yemen with social theory and spatial technologies, including satellite imagery, Global Positioning System (GPS), and Geographic Information Systems (GIS) mapping. In both ancient Yemen and the American West, agricultural production focused not where rain-fed agriculture was possible, but in hyper-arid areas where massive state-constructed irrigation schemes politically and ideologically validated state sovereignty. 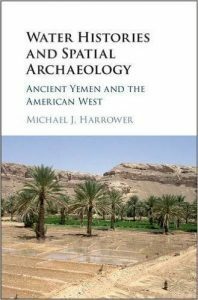 While shaped by profound differences and contingencies, ancient Yemen and the American West are mutually informative in clarifying human geographies of water that are important to understandings of America, Arabia, and contemporary conflicts between civilizations deemed East and West.